Recently, a major discovery took the science world by storm. Newspapers broke the news of how researches at the CERN laboratory in Switzerland proved that according to the known laws of physics, the universe should not have existed. . In the study published in Nature, a team of scientists led by Christian Smorra managed to gain a deeper insight on antimatter. The research concluded that matter and antimatter basically have the same physical properties, the only exception being their electrical charges. This conclusion was pointing to an extremely important fact: The universe should have never existed. Modern physics tells us that our universe was brought into existence following an explosion called the Big Bang. Matter and antimatter were created in equal amounts at the initial moment of the explosion, in which case matter and antimatter, sharing the same physical properties, should have completely annihilated each other, leaving behind nothing but a flash of light. In other words, the universe we live in should have never existed in the first place. The 20th Century was a period marked by a predominant materialistic world view. The world of science at the time told humanity that the universe functioned through cause and effect relationships, working in accordance with the defined laws of physics. However, technological advances began to challenge the previously undisputed laws of physics. 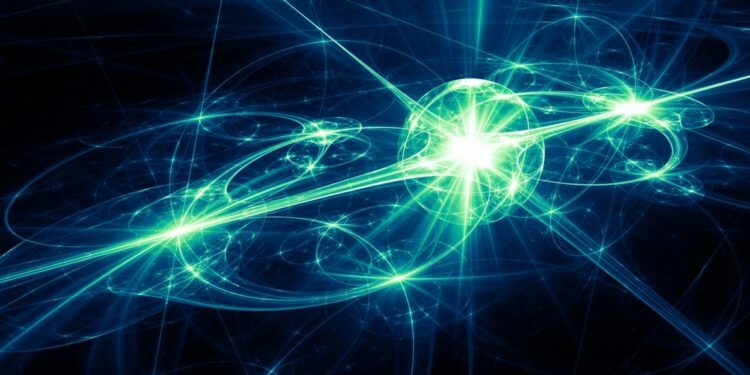 Firstly, with the introduction of the quantum physics, scientific journals started to feature articles one after another the discoveries showing that the known laws of physics do not apply to the nano world. The quantum world, which examines matter at a subatomic particle level, seemed to operate differently than the world visible to the naked eye. In the quantum world, subatomic particles can simultaneously exist in two places, and they sometimes behave as matter while at others times as light, allowing them to pass through wall barriers. We encounter these same odd properties of the quantum world when we go up to the macro-cosmos as well. Astrophysicists have lately established two important concepts into the scientific world: “Dark Matter” and “Dark Energy.” Dark matter is a term coined to name a type of matter that has never been physically observed but nonetheless has to exist according to the known laws of physics. Dark energy is the name given to a type of energy that has to exist hidden somewhere in the universe, but is impossible to observe in any way. In other words, the effects of both dark matter and dark energy are visible, but they elude visible observation. When astronomers estimated the quantities of dark energy and dark matter, the results they obtained were even more astonishing. The laws of physics that have been generally accepted since Einstein dictate that 68 percent of the universe should consist of dark energy while 27 percent consists of dark matter; the observable universe, consisting of planets, stars and galaxies, make up the remaining 5 percent. In other words, according to the latest scientific findings, 95 percent of the universe was filled with a type of matter that we could never see, yet is proven to exist and is something we have no knowledge about. The laws of gravity put forward by Einstein were unable to account for the 95 percent of the universe, leaving a huge gap in his theory. This situation sparked a debate among scientists about the validity of the laws of physics known to date. The said discoveries, which are at odds with the known laws of physics, prompted the scientific world to question what we know about matter. Elon Musk, the founder of SpaceX and Tesla Motors in particular, along with many scientists, have started to question whether matter exists in the sense that we know. According to Musk, the odds that the universe we live in is actually real is one in a billion. Scientific American editor Michael Moyer argues that we perceive a two-dimensional world as three-dimensional. Meanwhile, renowned philosopher and Director of Oxford University Future of Humanity Institute, Nick Bostrom, says that universe is nothing more than a fake illusion. The idea that we may be living in an imaginary universe, which is currently being discussed by scientists, has actually been a recurrent topic of debate throughout history. The 17th Century philosopher Descartes is among the pioneers of this subject in the scientific world. Both at the quantum level and in the macro-cosmos, scientific findings have long indicated the existence of a Creator. Both of these realms defy the known laws of physics, which are built upon the absolute existence of matter. However, accepting this fact would spell the moribundity of the cause and effect relationship, the basis of materialism, thus taking away the entire foundation from under the materialist scientists. This blind commitment to materialism however causes some circles to disregard the amazing truths disclosed by quantum. The Qur’an brings forth a thought-provoking perspective to the cause and effect relationship: Do you not see how your Lord stretches out shadows? If He had wished He could have made them stationary. Then We appoint the sun to be the pointer to them. (Qur’an, 25:45). God says He created the shadows, and then appointed the Sun to be the pointer to them. In other words, God’s art of creation follows an inverse cause and effect relationship. First, the effect comes into existence, and then the cause is created. This point offered today also by science was established in the Quran 1400 years ago. There will come a point down the line where the scientific world will have to question its materialistic worldview. Once the presupposition that “Matter is absolute and the universe is governed by causes and laws” is discarded, science, which has been running in circles around basic issues, will inevitably make a giant leap forward.